We designed this 45,000 S.F. 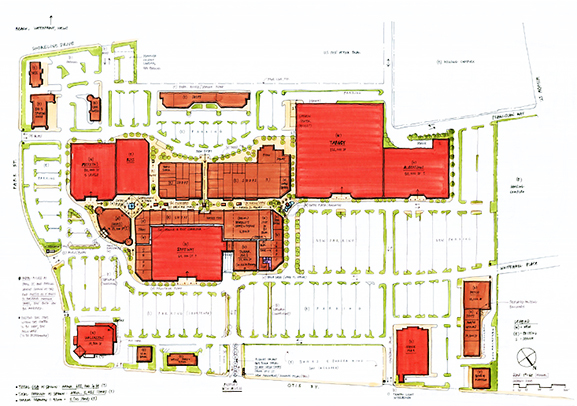 shopping center master plan to maximize buildable area by relocating major tenants, including Safeway, Albertsons, and Walgreens. This existing mall concept preserved and intensified the space with additional buildings surrounding an outdoor, pedestrian plaza and exterior facade updates.